A perfect gift for Halloween parties. 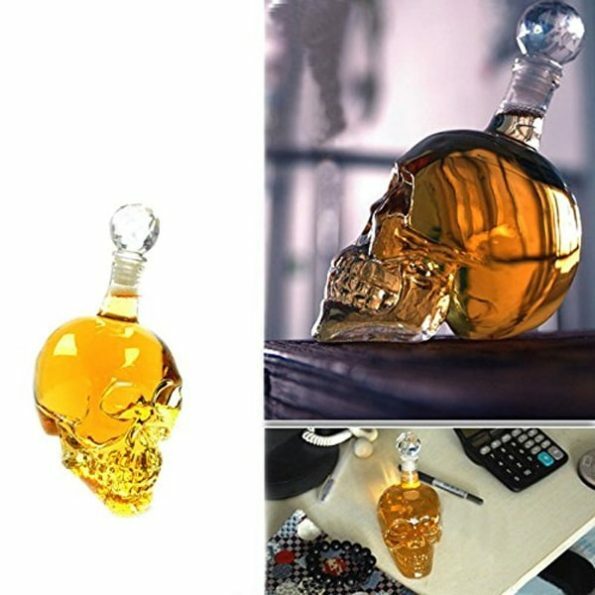 This amazing crystal skull decanter made from hand-blown borosilicate glass can make you a Halloween party winner. YOU CAN EVEN GIVE YOUR OWN BAR A UNIQUE and scary TOUCH WITH THIS Crystal Skull Shot Glass of 350ML. So don’t forget to buy this Unique Barware Gift for your friends and families or for yourself.